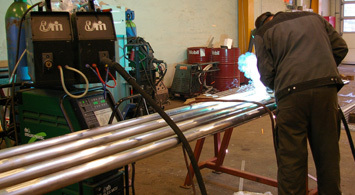 We carries out all types of work in steel (incl. work in aluminium and stainless steel). We have many jobs on board vessels, but also for the industry such as steel constructions. 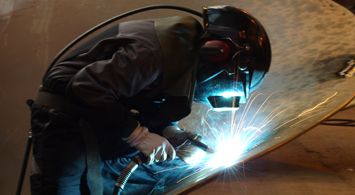 We have certified welders who carry out all types of welding in our workshop in Hirtshals or on-site world wide. We have welding experience with TIG, MIG, MAG as well as electrode welding. We carry out repair of pipelines and manufacturing of new pipes. We have experience in all types of work on pipes, including steel, aluminium, stainless, cunifer, steam pipes, hydraulics, plastic pipes, etc.